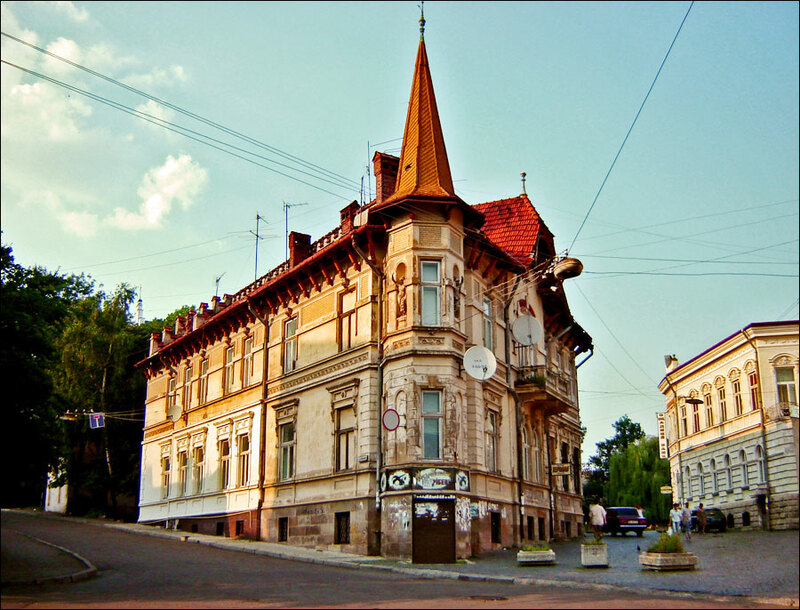 Drohobych, the second largest city in the Lviv region, is located about 86 km south-west of Lviv. This city has a significant number of preserved historical and architectural monuments. The population of Drohobych is about 77,000 (2016), the area - 44 sq. km. The phone code - +380 3244, the postal codes - 82100-82119. Local time in Drohobych city is April 21, 9:35 pm (+2 UTC). 4 February, 2017 / Walking through the streets of Drohobych. 28 April, 2011 / Church of St Yur - the pearl of Ukrainian wooden architecture. The settlement emerged around the 11th century in a place rich in salt springs from which salt was being extracted. The salt industry became the basis of the economy of the settlement. Until now, Drohobych has preserved several names of the streets associated with the process of salt production. When the water was evaporated, the salt remained in the form of so-called fireboxes. 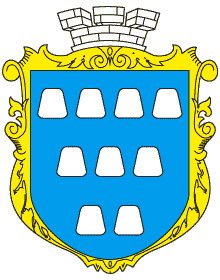 Nine such cone-shaped fireboxes became the symbol of Drohobych and were depicted on the coat of arms of the town of various historical periods. In 1339, the Polish king Casimir III gained control of the lands of Principality of Galicia-Volhynia and the town received its first coat of arms. For the first time the name “Drugabets” was mentioned in the list of towns in the Resurrection Chronicle in 1377 and 1382. As a fairly large town, Drohobych had a fortress with earthen fortifications. In the middle of the 15th century, the Catholic church of St. Bartholomew was built. 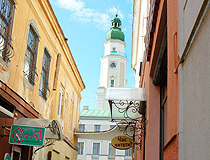 Around the year 1450, Yuriy Drohobych or Yuriy Kotermak was born here - a Ukrainian philosopher and writer, the first publisher of a Church Slavonic printed text. During the 15th-16th centuries, Drohobych grew and developed as a typical medieval town of Galicia with municipal self-government and legal proceedings, fairs, workshops, and saltworks. In 1565, in the town there were 45 saltworks. During the 17th century, Drohobych was periodically raided by the Tatars (the last raid was in 1699). The spiritual life of the town was developing. Several Orthodox and Catholic churches were built. In the early 17th century, the wooden church of the Exaltation of the Holy Cross and St. George’s Church (preserved) were constructed. In 1648, during the Cossack-Polish war, the Cossacks of Bohdan Khmelnytsky captured the town, a lot of locals were killed during the storming of St. Bartholomew’s church. In 1663, the first town school was opened. In 1700-1709, a new church and monastery of the Carmelites (today, the Cathedral of the Holy Trinity) were constructed. In 1740, a new town hall was built. 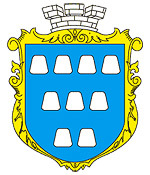 In 1772, after the first partition of Poland, Drohobych, like the whole of Eastern Galicia, became part of the monarchy of the Habsburgs (from 1804 - the Austrian Empire, from 1867 - the Austro-Hungarian Empire). In the 19th century, along with the traditional specialization of Drohobych, as a center of salt production, oil refining began to develop rapidly based on local oil deposits. In 1814, the manager of salt mines I. Haeckel built the first oil pumping machine. In 1817, the military barracks and saltworks of the town were lit with kerosene. In 1859, the first industrial oil pumping machine began oil extraction. 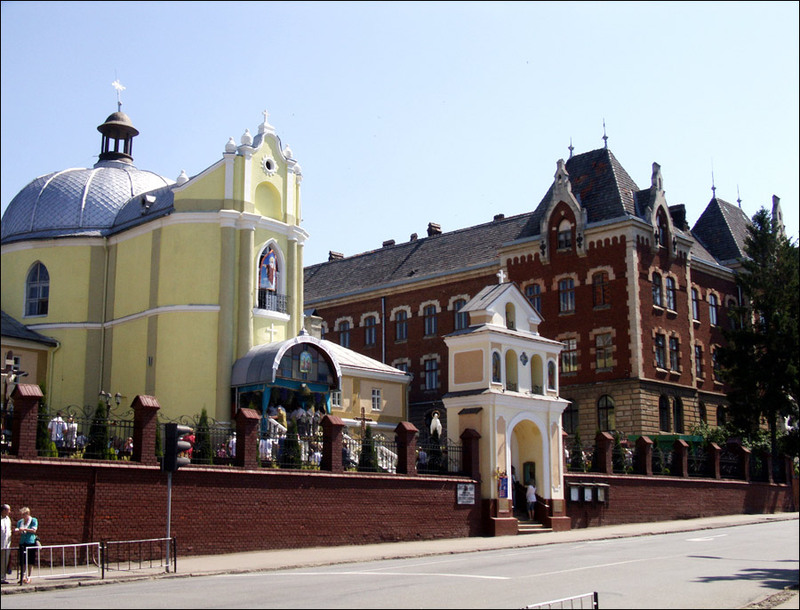 Different architectural styles intertwined in stone buildings of Drohobych: from Gothic, Renaissance, Baroque, classical to eclectic and modern. 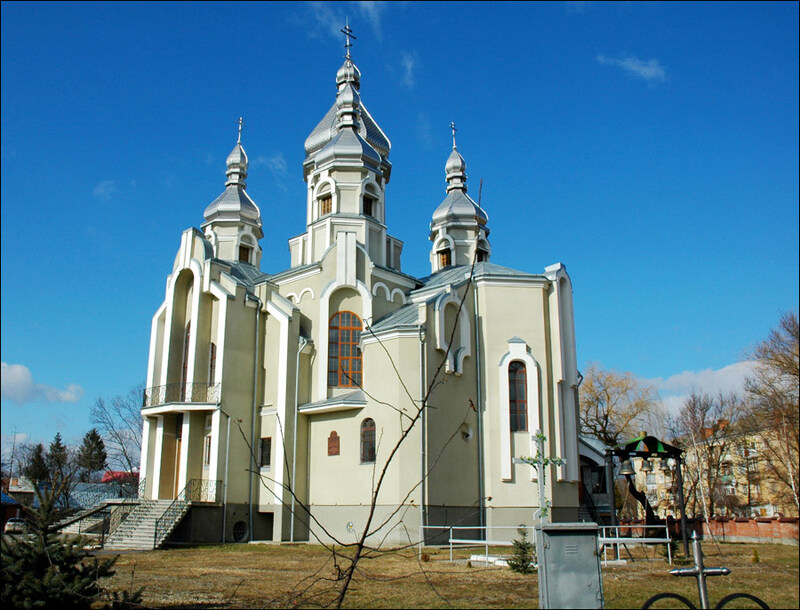 In 1842-1865, a choral synagogue was built, which became the largest in Eastern Galicia. At that time, Ivan Franko studied in the local elementary school and then in the town gymnasium, later Vasyl Stefanyk and Les Martovic - classics of Ukrainian literature. In 1866, the first oil refinery in Central Europe was opened in Drohobych. In 1910, the second oil refinery was built. Thanks to Drohobych, Austria-Hungary was on the third place in the world in terms of oil production. Great damage to the town and the surrounding area was caused during the First World War. During the retreat, Russian troops took out the refinery equipment, the stocks of oil products were destroyed. After the events of the First World War, the Soviet-Polish war, Galicia was included in the Polish state. In 1928, a private Ukrainian gymnasium was opened. The population of the town was about 40,000 at the end of the 1920ies. September 1, 1939, the Second World War began with the German attack on Poland. September 10, 1939, Germans bombed the railway station and the refinery of Drohobych. September 18, 1939, the town was occupied by German troops. 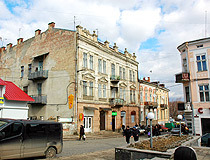 However, on September 24, they left Drohobych, since, according to the Molotov-Ribbentrop Pact, this town was in the Soviet zone of occupation. Nationalization and confiscation of banks, enterprises, property of cooperatives, church organizations, and individuals began. 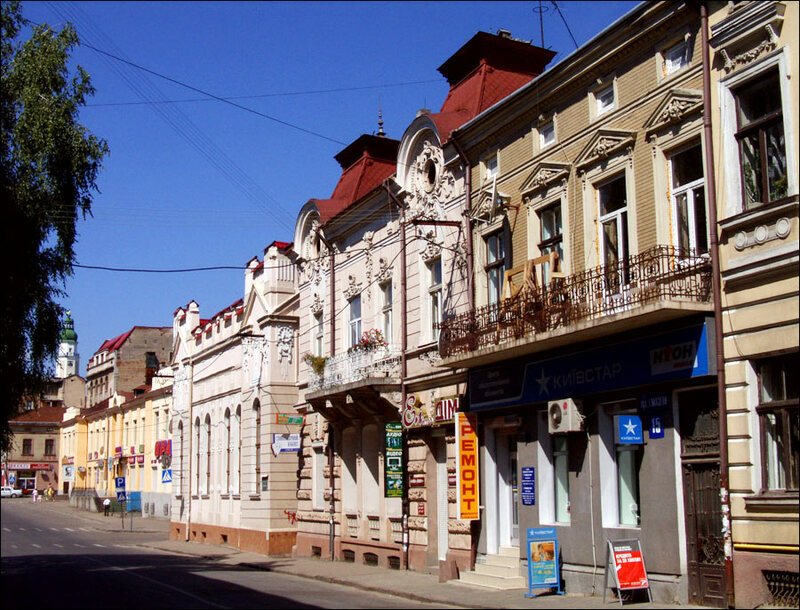 November 27, 1939, the Drohobych region was formed and the town of Drohobych became the regional center. 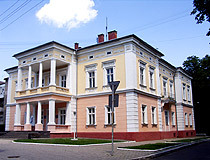 The State Regional Drama Theater was opened (today, the Lviv Regional Academic Music and Drama Theater named after Yuriy Drohobych), as well as the Regional Philharmonic, the Regional House of Folk Art, the Teachers’ Institute (today, the Drohobych Pedagogical University), the State Regional History Museum (today, the Drohobych Museum of Local Lore). June 22, 1941, Germany attacked the Soviet Union and Drohobych was again bombed by German aircraft - the railway station, oil refineries, military barracks. July 1, 1941, German troops entered Drohobych. In November 1941, Jews with disabilities received an order to gather supposedly for employment in a Jewish nursing home. All those who arrived (320 people) were taken to the Bronytsia Forest and shot. 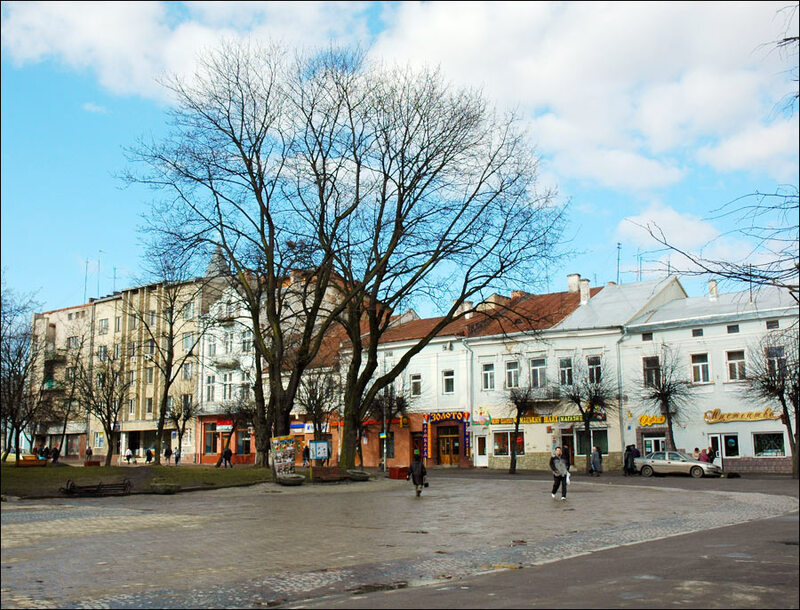 In 1942, the systematic elimination of the Jewish population of Drohobych began. In early August 1942, about 5,000 Jews were sent to the extermination camp of Belzec. Others were placed in prison and shot in the Bronytsia Forest. At the same time, there were periodic so-called “wild actions” (German “Wilde Aktionen”), when all Jews appearing on the streets of the town were to be shot on the spot. During one such action, on November 19, 1942, the famous writer Bruno Schulz was killed. On the morning of June 26, 1944, as part of Operation Frantic, 71 B-17 bombers accompanied by 56 P-51 Mustang fighters from the airfields in Ukraine carried out an air raid on Drohobych and then flew to the bases in Italy. August 6, 1944, the Soviet troops entered the town. In total, during the Second World War, about 14,500 people were shot in Drohobych (of which more than 10,000 in the Bronytsia Forest), 10,800 prisoners of war were killed, 3,100 people were forced to work in Germany. 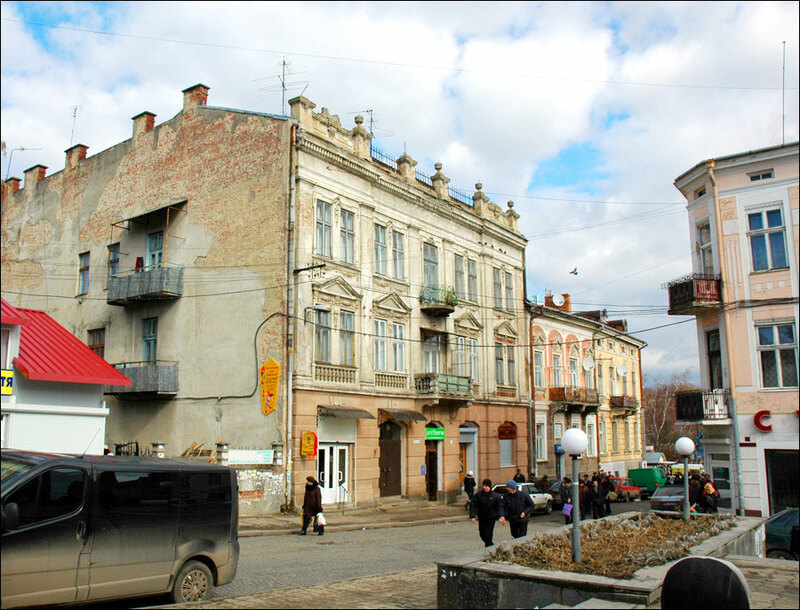 Before the war, 13,500 Jews lived in Drohobych. Only about 500 Jews survived the German occupation. The party and economic apparatus of Drohobych was completely formed from representatives of the eastern regions of Ukraine and other republics of the USSR. The Drohobych region existed until May 1959, when its territory was joined to the Lviv region. In the postwar years, several new plants were built in the city. The oil refinery was expanded and reconstructed. Drohobych played an important role in the economy of the Ukrainian SSR because of the developed food, light, machine building, oil-refining, and woodworking industries. Today, the local industry is based on engineering and oil refining. There are 18 schools of general education, a gymnasium, a lyceum, six colleges and technical schools, one art school and two music schools, four universities in the city. In 2016, the 925th anniversary of Drohobych was celebrated. There are several versions of the origin of the name of Drohobych. According to the most common version, originally there was a settlement called Bych at the salt source in the foothills of the Carpathians. In the late 11th century, after the attack of the nomadic tribes of the Polovtsi, the settlement was burnt. After a while, the locals who managed to hide from the nomads returned and rebuilt the settlement, but in a slightly different place. The new settlement was named Drugie Bych (Second Bych), and eventually the name turned into Drohobych. 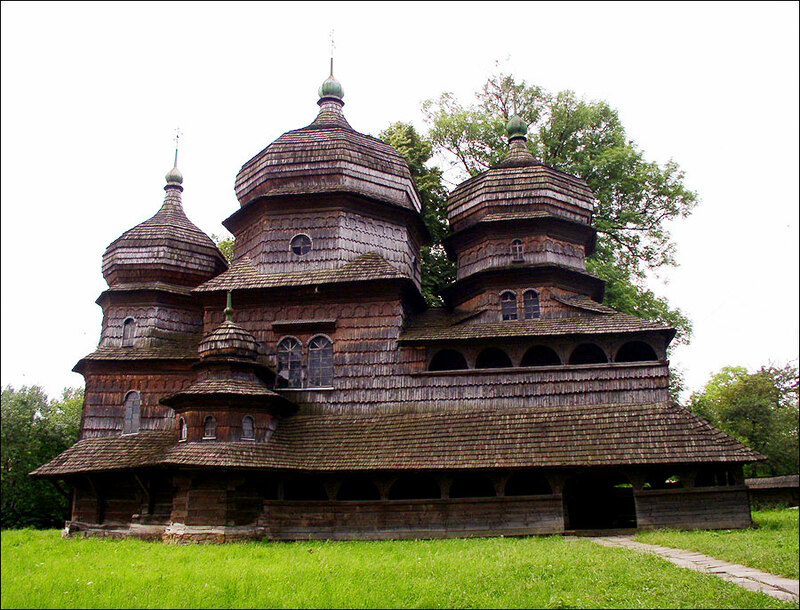 Drohobych is located in the south-western part of the Lviv region in the foothills of the Carpathians. The climate is moderately continental with mild winters and warm summers. The average temperature in January is minus 4.6 degrees Celsius, in July - plus 17.3 degrees Celsius. Drohobych saltworks is one of the oldest salt-making plants in Europe. The main branches of local industry are machine building (45%), oil refining (37%), food industry (7.5%), construction materials (1.2%), light industry (1%), chemical (0.7%), printing (0.1%). 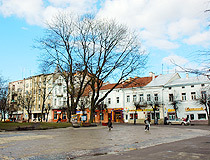 A significant part of the present city center was formed at the end of the 19th - first half of the 20th centuries, during the economic boom associated with the oil boom. The area, bounded by the streets of Shevchenko and Ivan Franko, abounds in private villas. The great Ukrainian poet and writer Ivan Franko lived most of his life in Drohobych. Yuriy Drohobych (Yuriy Kotermak), the first Ukrainian doctor of medicine and philosophy, was born in Drohobych. Bruno Schulz, one of the most famous Polish artists and writers of Jewish origin of the first half of the 20th century, lived his whole life here. In total, there are about three dozen famous people associated with this relatively small city. Church of St.Yuriy. 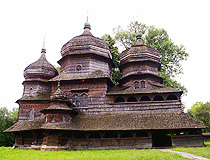 Built in the late 15th - early 16th centuries, this wooden church is one of the best monuments of Galician folk architecture included in the list of UNESCO World Heritage Site in the category “Wooden churches of the Carpathian region of Ukraine”, a monument of religious architecture of national importance. Restored several times the church has preserved its original appearance. Inside there is an exposition of the Drohobych Museum of Local History. The interior is decorated with a lot of interesting old frescos. Solonyi Stavok Street, 23. Opening hours: 9:00-18:00 (Friday-Sunday - 9:00-17:00). Catholic Church of St Bartholomew (1392-1511) - a massive Gothic building erected on the basis of the princely palace of the times of the Galicia-Volyn principality using old foundations and fragments of walls. The defensive tower that was part of the town fortifications on the Castle Hill became the bell tower of the church. 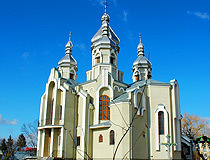 In 1989, the church was returned to the Roman Catholic community of Drohobych. 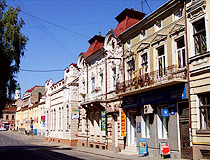 Yaroslava Osmomysla Street. Church of the Exaltation of the Holy Cross. This wooden church is considered one of the best buildings in the style of Galician folk architecture. The church was founded in the 16th century. However, as a result of the rebuilding in 1661, the church lost its original appearance. Zvarytska Street, 7. Monastery of the Holy Apostles Peter and Paul (1825-1828) - a magnificent Basilian monastery, one of the most luxurious religious buildings of Drohobych. Stryiska Street, 1. Cathedral of the Holy Trinity (1690-1709) - a baroque cathedral originally built as a Catholic church of the Carmelite monastery. In 1808, the church passed to the basilians and was consecrated as a Greek Catholic church. Truskavetska Street, 2. Drohobych Tower - the oldest building in Drohobych constructed at the time of the Galicia-Volyn principality in the 13th century. In the 15th-16th centuries, a monumental Catholic Church of St. Bartholomew was built on the territory of the fortress and the tower was used as its bell tower. In front of the tower there is a monument to the medieval scholar Yuriy Drohobych. 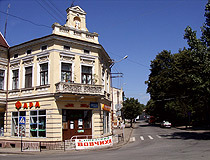 Yaroslava Osmomysla Street. 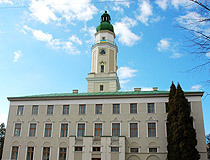 Drohobych City Hall (1927) - a relatively new building of the Drohobych City Council with a high clock tower was built after the First World War, when Drohobych passed under Polish control. In the building there is a museum of scales numbering more than 500 exhibits. 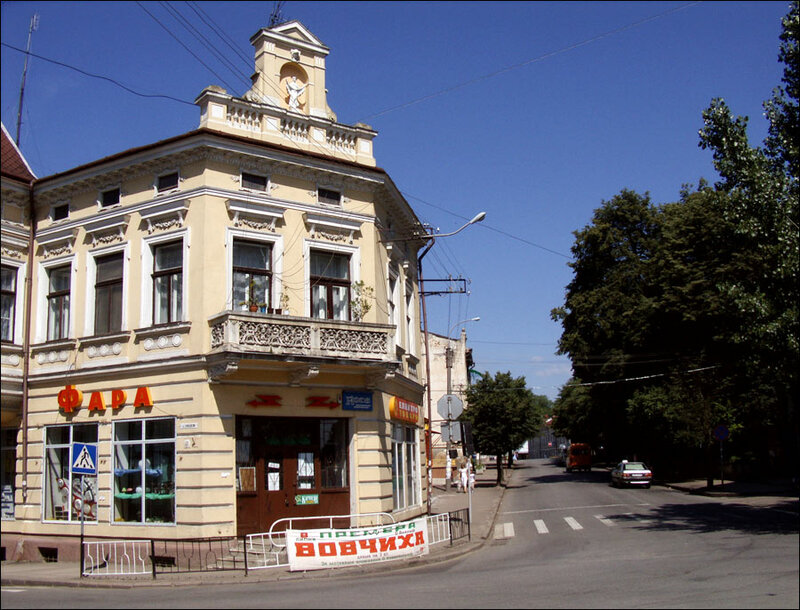 Also the Drohobych Tourist Information Center can be found here, which, in particular, organizes excursions to the tower offering the best panorama of the city. Rynok Square Street, 1. Palace of Arts “Villa Bianca” - a richly decorated dark green two-story building, a great example of the architectural style of secession (Viennese modernity) of the 19th - early 20th centuries. 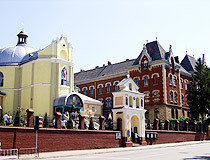 Today, it is used as an exhibition center of the museum “Drohobych”. 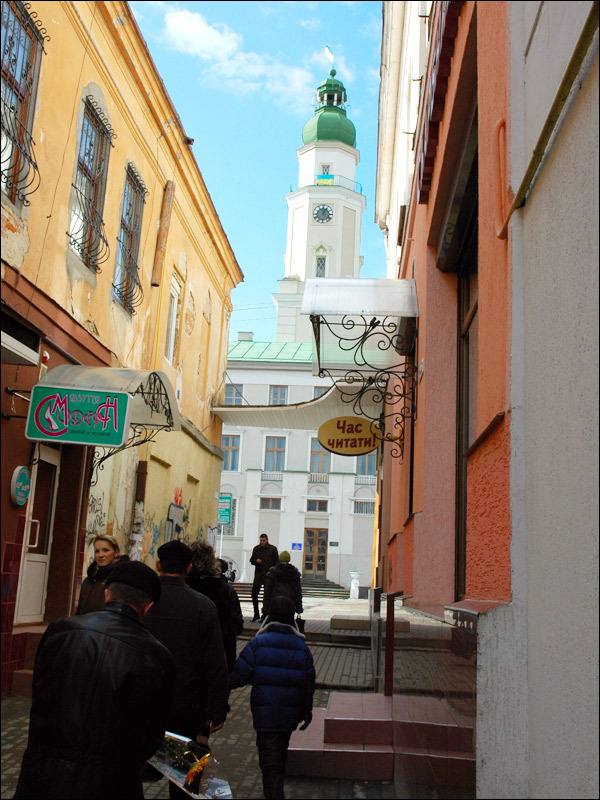 Tarasa Shevchenka Street, 38. Opening hours: 09:00-17:00. 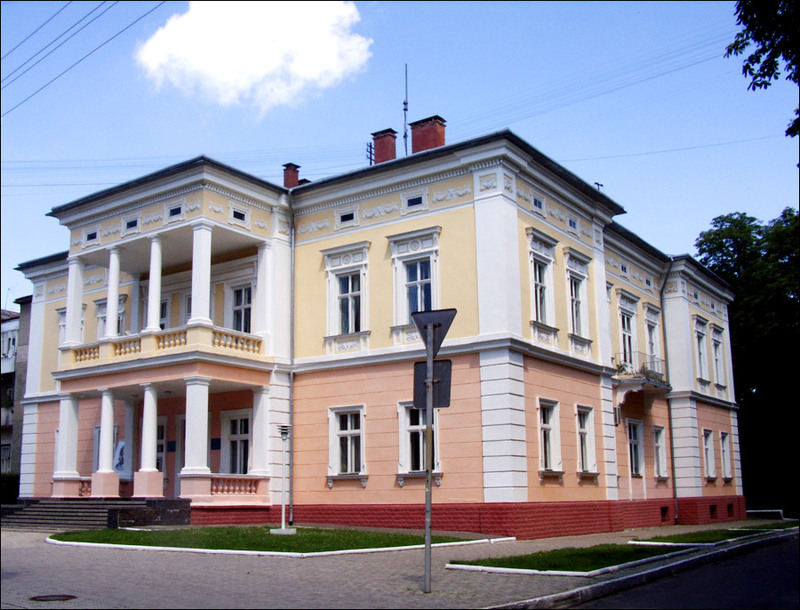 House of the Vice-Mayor (Gallery of Sacral Art) - a small building in the style of secession constructed in the early 20th century. The most valuable exhibits of the gallery are the Boykov icons of the 16th-20th centuries. Also there are sacral sculptures, decorative carvings, forged crosses, manuscript and early printed church books, vestments of priests, etc. Sichovykh Stril’tsiv Street, 18. Opening hours: 10:00-17:00. Day off: Monday. Museum “Drohobych”. The historical department, the nature department and the administration of the museum are located in the former building of the Drohobych Povet Council (1894). Here you can see the oldest pottery in the territory of Transcarpathia, the bronze treasure of the Early Iron Age, the letter of confirmation of Drohobych of Magdeburg law, the scales for weighing salt, the public fund of the 16th century, the collection of coins of the 14th-19th centuries, etc. Ivana Franka Street, 32. Opening hours: 10:00-17:00. Day off: Monday. Choral Synagogue (1842-1865). The largest synagogue in Eastern Galicia was built for the Jewish community of Drohobych, which played an important role in the economic life of the town. Neo-Romanian elements characteristic of the German style “Rundbogen” were used in the architecture of the synagogue. The synagogue in the German city of Kassel was taken as a model. In recent years, the building has been restored. 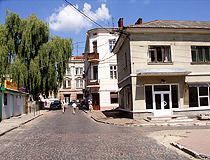 Pylypa Orlyka Street, 6. 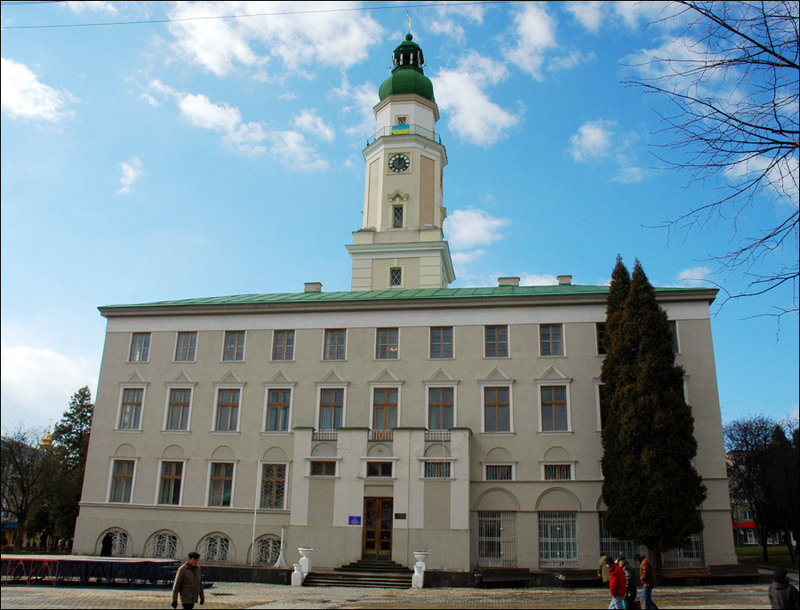 Former Courthouse - one of the most beautiful buildings in Drohobych constructed in the beginning of the 20th century. It was among the largest courthouses in Galicia. In addition to 20 judges, there was a judicial office and a detention center. Today, it is the building of the Institute of Physics, Mathematics and Innovative Technologies of the Drohobych Pedagogical University. Stryiska Street, 3. Was in there in 1990. Hope to return and visit again some day. 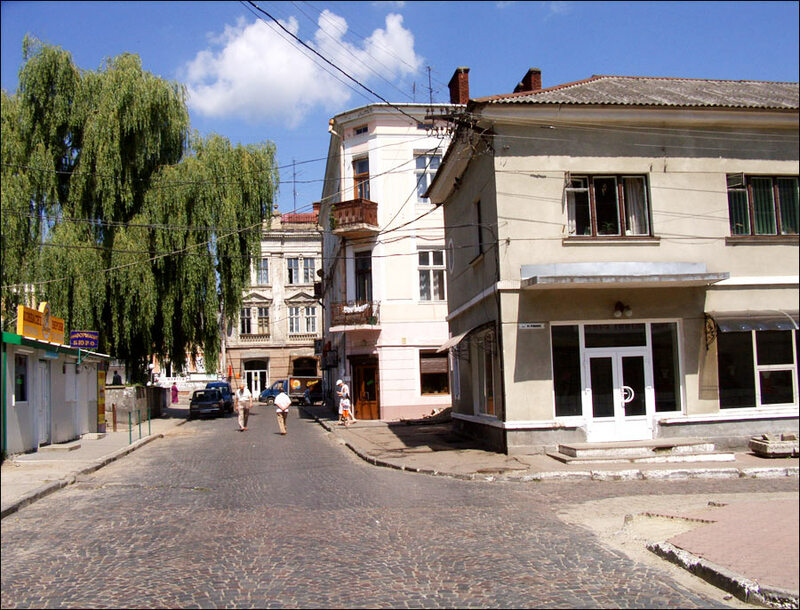 I was born and lived most of my life in Drohobych and some day will return to my hometown. Drohobych was my father's home town too. I really must visit sometime.